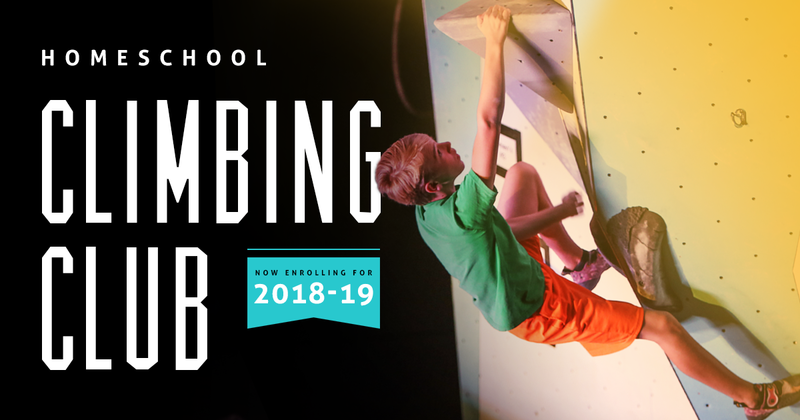 The Homeschool Climbing League is a rock climbing club specifically for homeschool students that can satisfy PE credit requirements. Students have the opportunity to come together, in a group setting and practice challenging themselves and work on social team building. High School age students have the opportunity to compete in competitions throughout the year as a part of our High school climbing league. TWO GREAT OPTIONS TO CHOOSE FROM! Groups and co-ops can pick from either a PE-Class Only or PE Class+Membership option. Both can fulfill PE credit requirements! Before your group meets for the first time, Zenith staff will teach student chaperones how to belay their climbers and instruct them on proper safety measures. Your first meeting will also be overseen by a Zenith staff member to assist and answer any questions. Zenith staff must teach students to belay. A Zenith instructor may be requested up to 1 time per semester to come to teach students to belay during scheduled class times at no additional cost. Additional instruction beyond that will be $50 per hour.“PE Class Only” groups must book 4 classes per semester to receive the homeschool discounted rate. Semesters are considered 4-months long. Fall semester runs from August13th-December 7th, 2018. Spring semester runs from January 7th – May 20th, 2019.